The first Saturday of July is tomorrow, July 1st. The Child Jesus spoke these words: "Have pity on the heart of thy Most Holy Mother. It is covered with thorns, with which ungrateful men pierce it at every moment, and there is no one to remove them with an act of reparation." "Behold my heart surrounded with the thorns which ungrateful men place therein at every moment by their blasphemies and ingratitude. 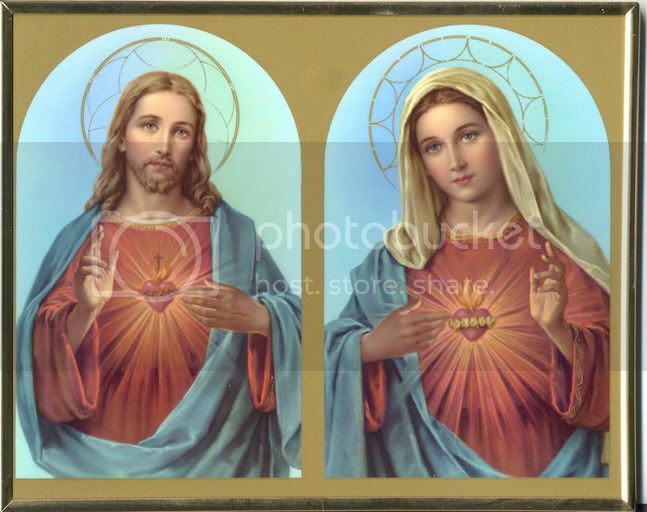 1 Confess and receive Holy Communion (confession on the previous day when making the First Friday devotion to the Sacred Heart is efficacious, so long as the communicant remains in a state of grace between the First Friday and First Saturday). 3 And keep me company for fifteen minutes while meditating on the fifteen mysteries of the Rosary, with the intention of making reparation to me." Christians have always honoured the Blessed Virgin on Saturday because of her constant faith in Jesus on that first Holy Saturday before the Resurrection. 5.for those who insult her directly in her sacred images. "It consists in this: During five months on the first Saturday, to receive Jesus in Communion, recite a Rosary, keep Our Lady company for fifteen minutes while meditating on the mysteries of the Rosary, and make a confession. The confession can be made a few days earlier, and if in this previous confession you have forgotten the (required) intention the following intention can be offered, provided that on the first Saturday one receives Holy Communion in a state of grace, with the intention of repairing for offences against the Most Holy Virgin and which afflict Her Immaculate Heart. 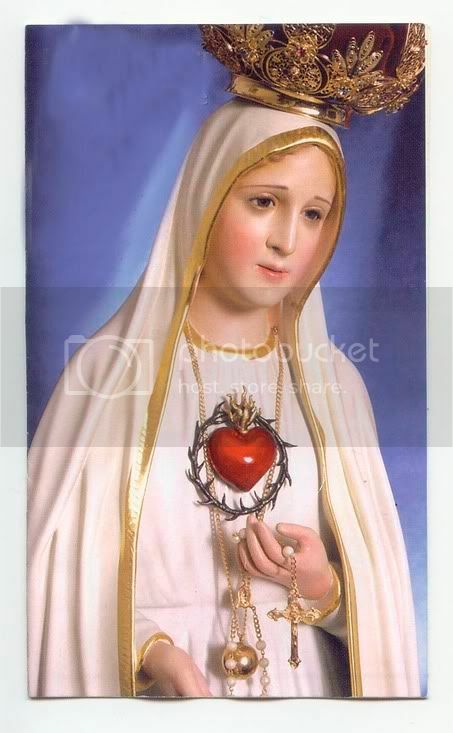 O Most holy Virgin and our Mother, we listen with grief to the complaints of thy Immaculate Heart surrounded with the thorns which ungrateful men place therein at every moment by their blasphemies and ingratitude. Moved by the ardent desire of loving thee as our Mother and of promoting a true devotion to thine Immaculate Heart, we prostrate ourselves at thy feet to prove the sorrow we feel for the grievance that men cause thee, and to atone, by means of our prayers and sacrifices, for the offences with which men return thy tender love. Obtain for them and for us the pardon of so many sins. A word from thee will obtain grace and amendment for us all. Hasten, O Lady, the conversion of sinners, that they may love Jesus and cease to offend the Lord, already so much offended, and will not fall into hell. Turn thine eyes of mercy toward us, that henceforth we may love God with all our heart while on earth and enjoy Him forever in heaven.